Jason Paul Jay Troxel, 41, passed away Tuesday, Nov. 27, 2018. His service will be held at 11 a.m. Dec. 8, 2018, at the Beagle United Methodist Church. 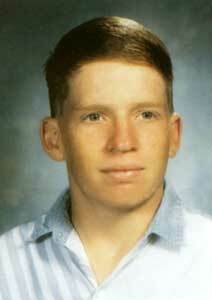 The son of David and Sheryl Ostrander Troxel, he was born May 19, 1977, in Paola, Kansas. He grew up in Osawatomie, Kansas, and was a 1996 graduate of Osawatomie High School. After high school, he started a career with Wal-Mart and most recently at RCS Millwork. Jay was the father of three sons, Jaxon Kai, Oct. 8, 2007; Moxon Myles, March 13, 2009; and Braxton Alexander, Feb. 25, 2017. Jay loved his sons greatly and through the ups and downs was determined to make sure they maintained their relationship. Jay loved his sons and nephews, and he was generous with them in both his time and resources. Jay enjoyed creating, building and constructing. He loved fireworks, Christmas and installing lights, Chiefs football and golf. Life changed for Jay on Aug. 21, 2017, when he was in a terrible one car accident. He spent six weeks in a coma and sustained a traumatic brain injury. He spent the last year working to recover from that life changing event. Jay was preceded in death by: his mother, Sheryl Troxel; his infant brother, Robbie; and his grandparents. Survivors include: his sons, Jaxon, Moxon and Braxton; his partner, Dawn Riley; his father, David Troxel; brother, Chris Troxel; and sister, Ashley Troxel; as well as three nephews.